On 23 October 2012, a bright fireball was witnessed over Beni Yacoub, near Tata and Taliounie, Morocco. 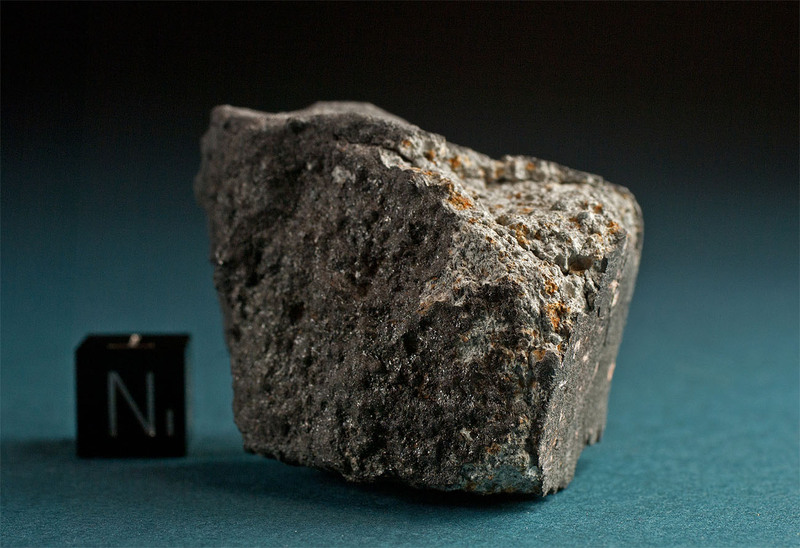 Meteorites were found the day following the event. The strewnfield was searched over extensively, but the meteorite was extremely friable and the majority of the mass disintigrated mid-flight, leaving only small crusted fragments and loose chondrules to be found. This almost complete 62 g specimen is among the biggest pieces recovered. On 23 October 2012, a bright fireball was witnessed over Beni Yacoub, near Tata and Taliounie, Morocco. 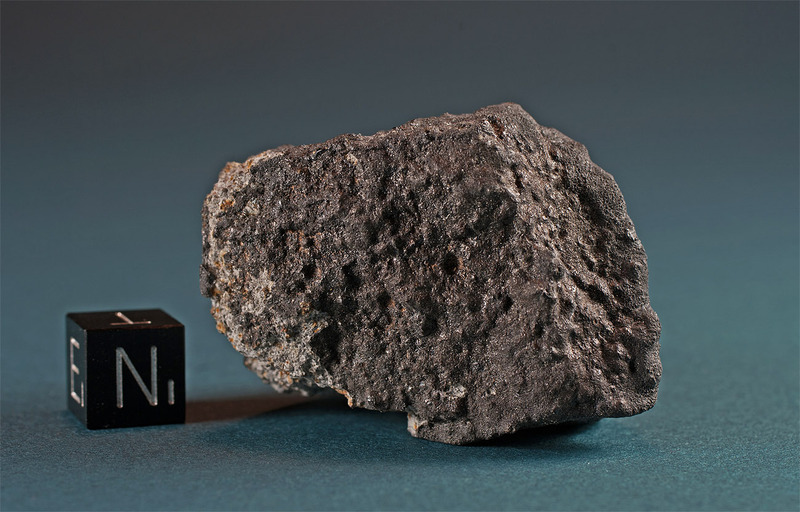 Meteorites were found the day following the event. The strewnfield was searched over extensively, but the meteorite was extremely friable and the majority of the mass disintigrated mid-flight, leaving only small crusted fragments and loose chondrules to be found. This almost complete 62 g specimen is among the biggest pieces recovered. It is coated by very thin secondary fusion crust with individual hollows still visible in crust texture, indicating where chondrules became detached during ablation. History: (H. Chennaoui, FSAC). On 23 October 2012 at 00:30 GMT, people from the cities of Tata, Ighrem, Taghmout, and Faddouks in southern Morocco witnessed a large fireball illuminating the night sky. They saw the meteor fragmentation. Inhabitants from Izarzar and Beni Yacoub village reported to have been awaken by a thunder-like blast followed by a tremor. The fall was also reported by newspapers. A number of local hunters proceeded to the fall area and the first piece was discovered on October 30, broken apart after landing on rocks on Azaghzaf mountain, about 6 km SW of Izarzar. The first discovery was made by Mohamed Azeroual. Very few pieces have been reported. This fall is also known as “Beni Yacoub”. The concordance between the testimonies on the place of the fall and the real find of pieces in this area are consistant with the fact that this meteorite corresponds to the eyewitnessed fall. When the rock was found, powder of the meteorite was still adhering to the rock with which it collided.